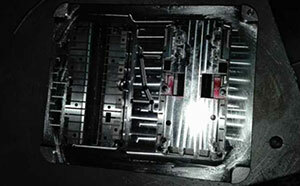 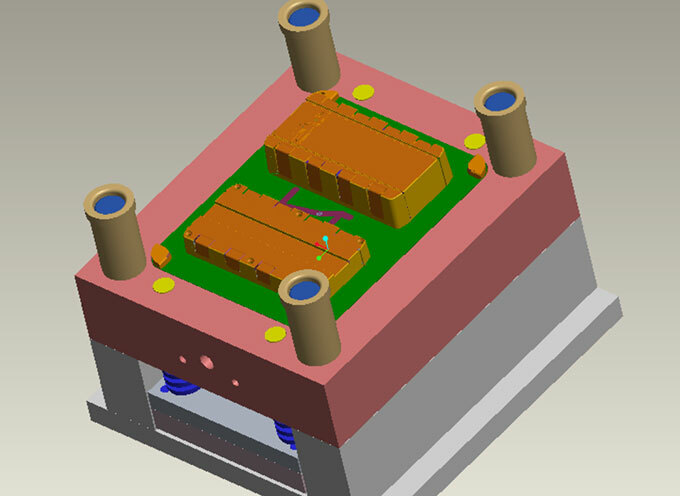 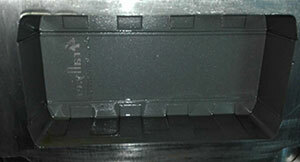 Consideration of usage and cost of the product, we go with mold layout 1+1. 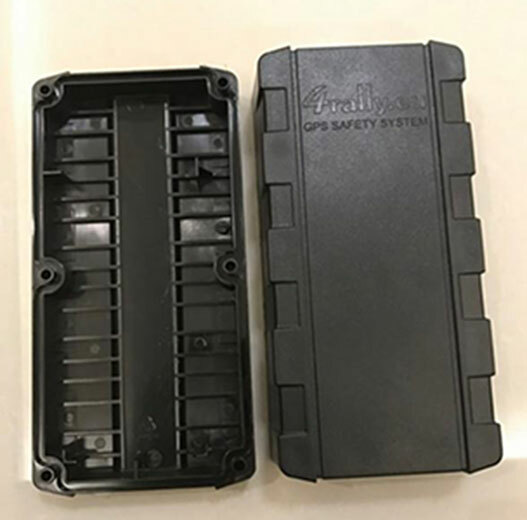 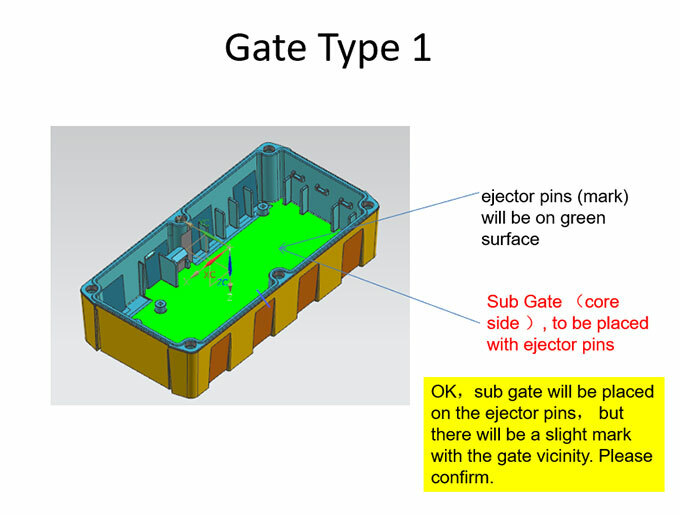 Considering the difficulty of the filling, we plan to do a big edge gate at first, that would be easier for us to full fill the cavity during injection moulding, but the edge gate will leave a ugly and obvious gate mark on side surface, the client wants the out surface looking good. 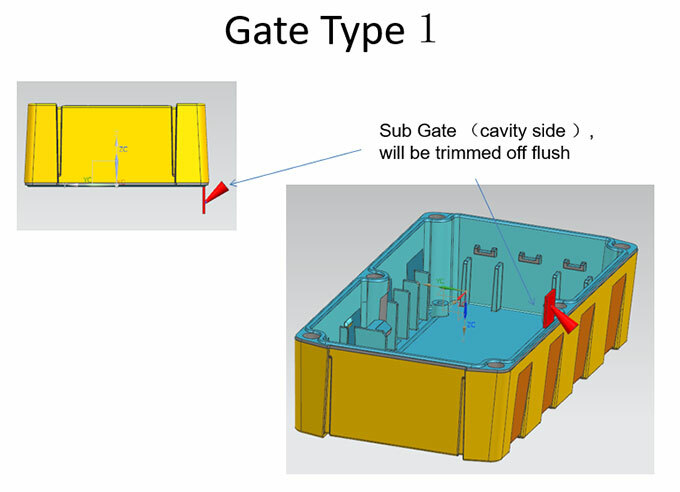 So we have to change the gating method to sub-on-pin gate, an extension feature are created to make a channel so the melt flow can go into mould cavity from a non-critical surface, see below the sub gate, actually this is quite risk to do so, as the part over all wall thickness is quite heavy, this little gate is very difficult to full fill the part, but the client just insist on it. 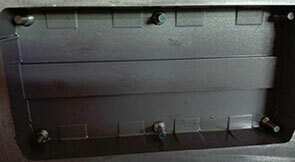 We did the T 1 sampling of mould on time, but T1 sample's result is not ideal. 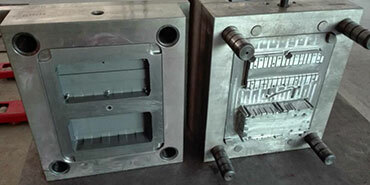 The part is very difficult to be full filled, we have to use very high injection pressure to fill it as much as we can, but still sink marks are all over the part, also due to high injection pressure and rough surface texture, the part stick to cavity side strongly, we can not go on without adjustment. 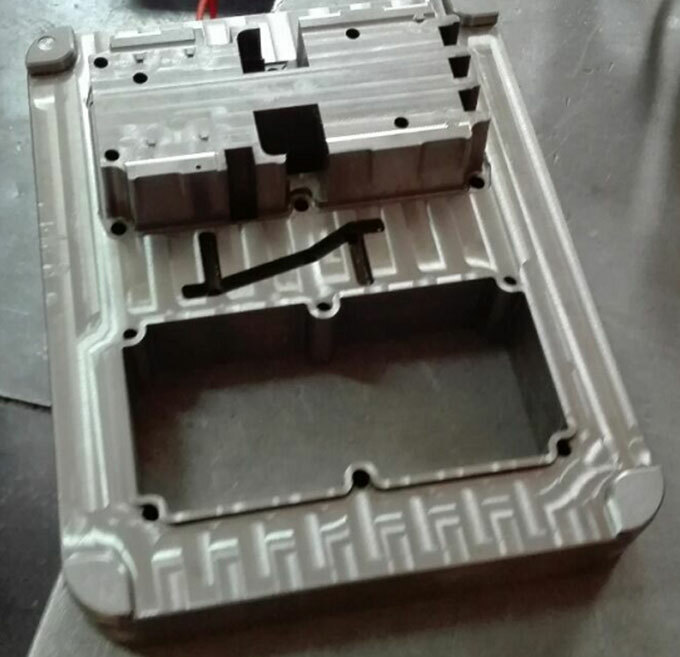 After T 1 sampling, we did some changes by adding some under-cut and textures one the back side of the product to avoid the sticking problem. 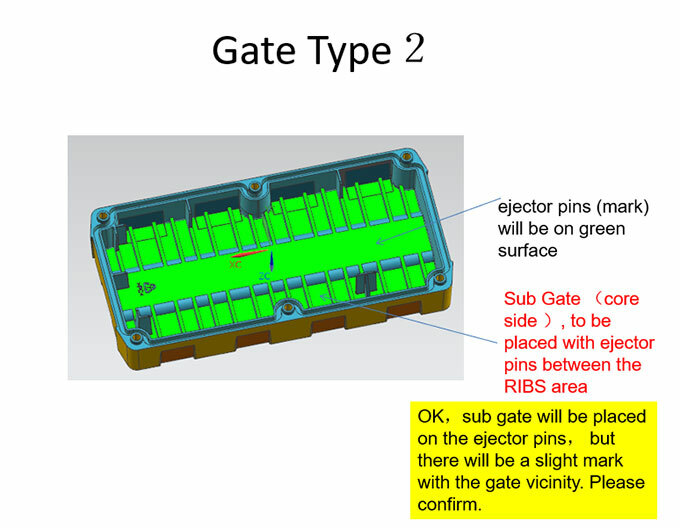 Below is the pictures of sample we made at T2, we also enlarge the gate point as much as possible to ease the filling problem. 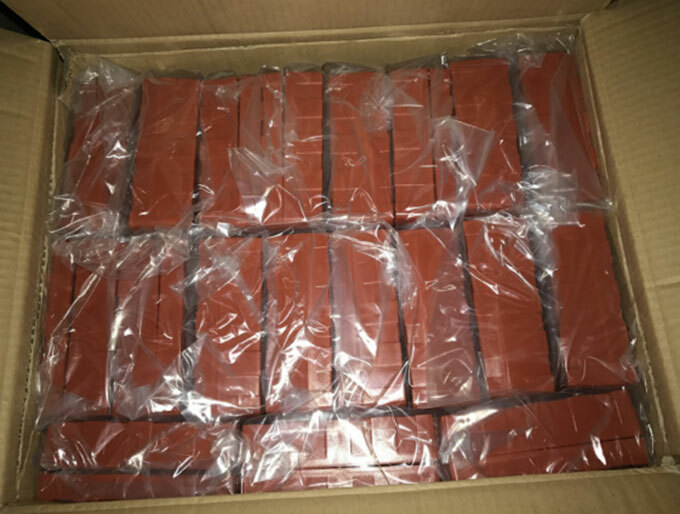 We did red color for mass production. 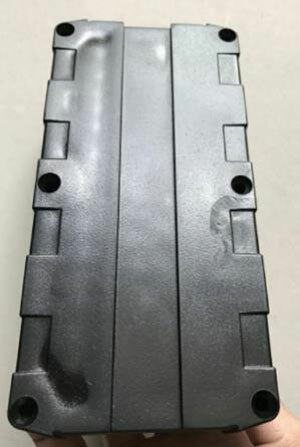 PC resin is a transparent, hard material, it was frequently adopted in medical, packing, lighting, electronic industrial, injection moulding for PC material is proved to be tricky sometimes because this resin has bad melt flow property, it is also easy to get surface blemish and filling problem. 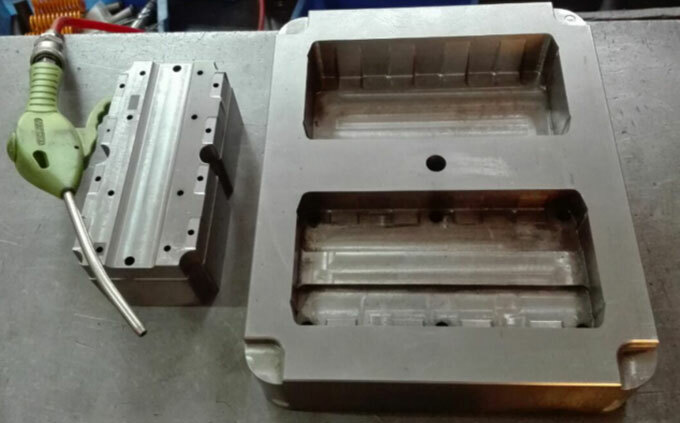 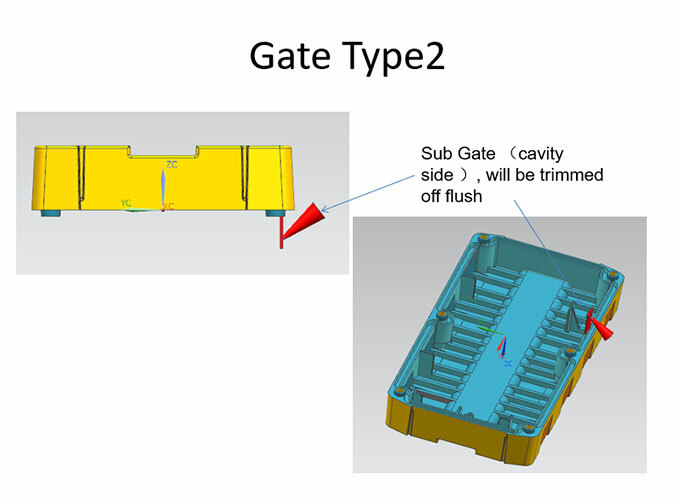 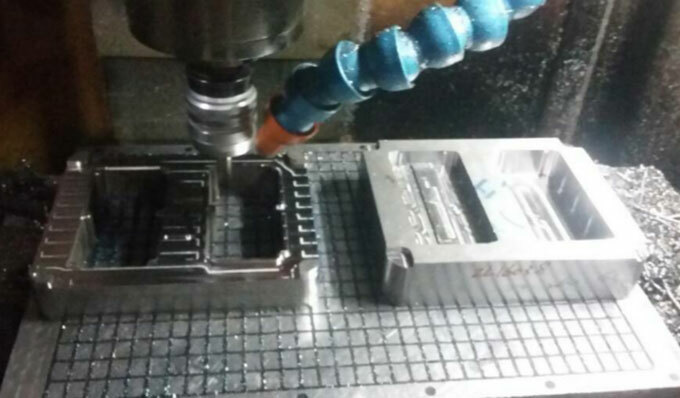 Usually it requires bigger edge gate so ease the melt flow hesitation, the runner has to be S or L shape to avoid direct melt flow pouring, small sub gate/small point gate was proved to be problematic, ideal wall thickness 2.5-3mm, better to do mould flow analysis if the part structure is complex.